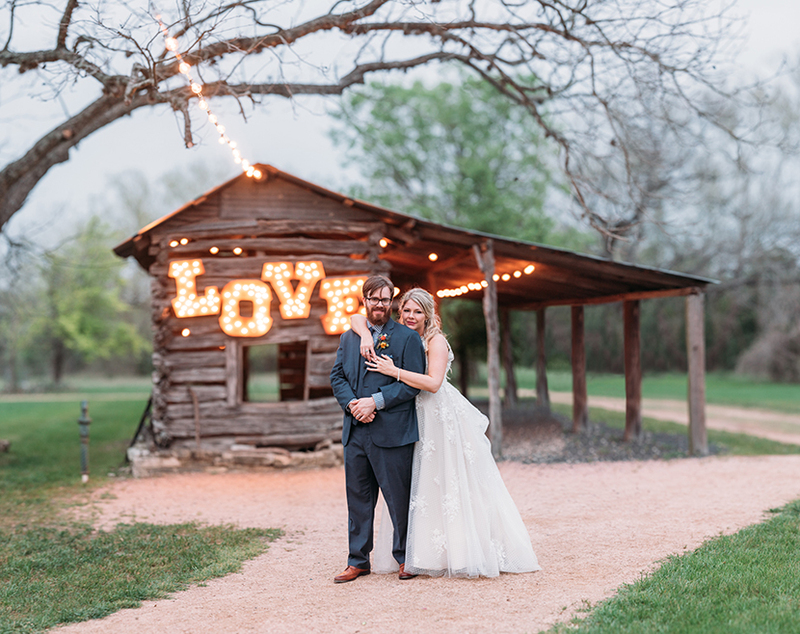 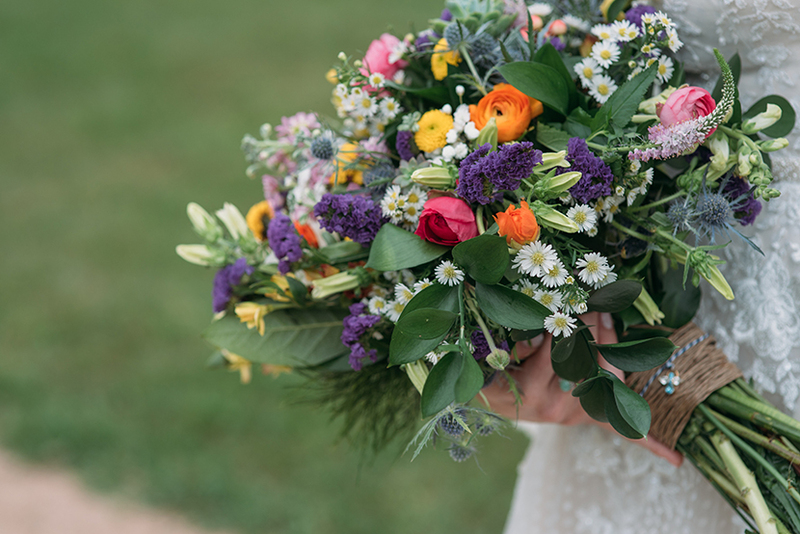 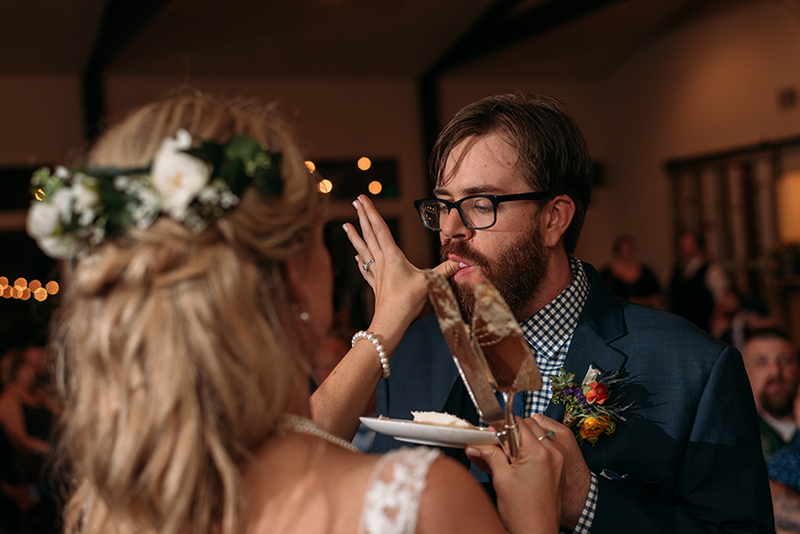 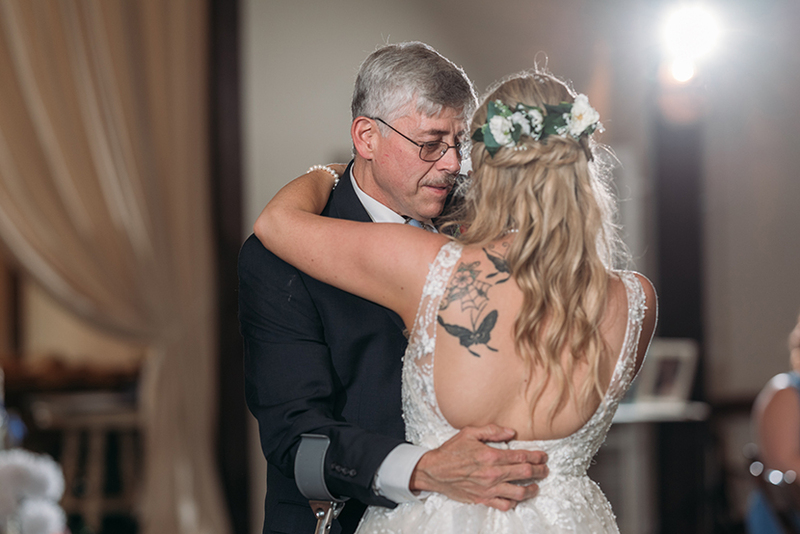 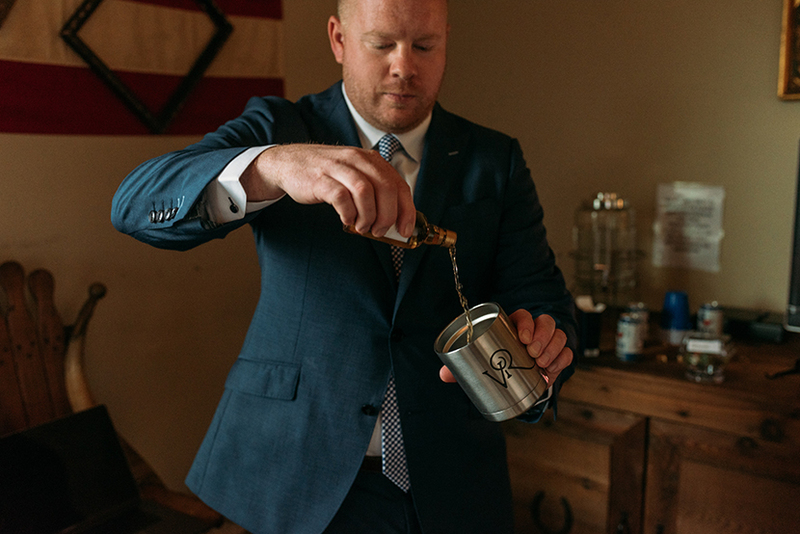 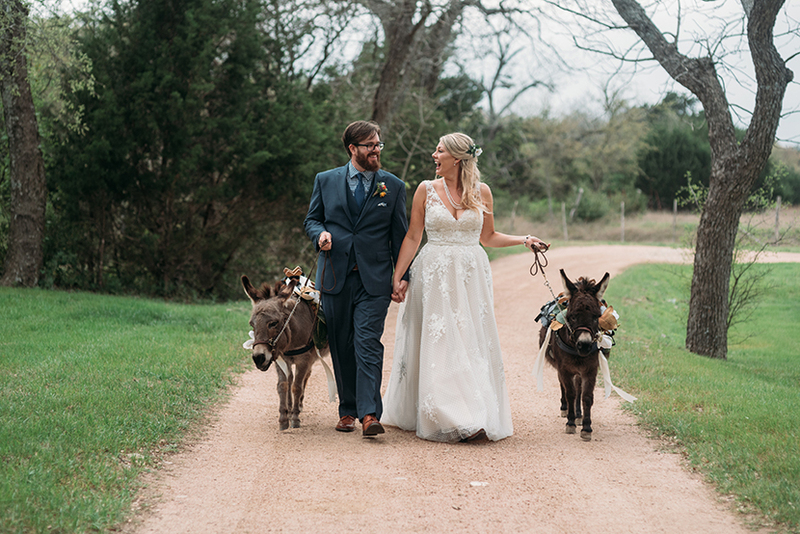 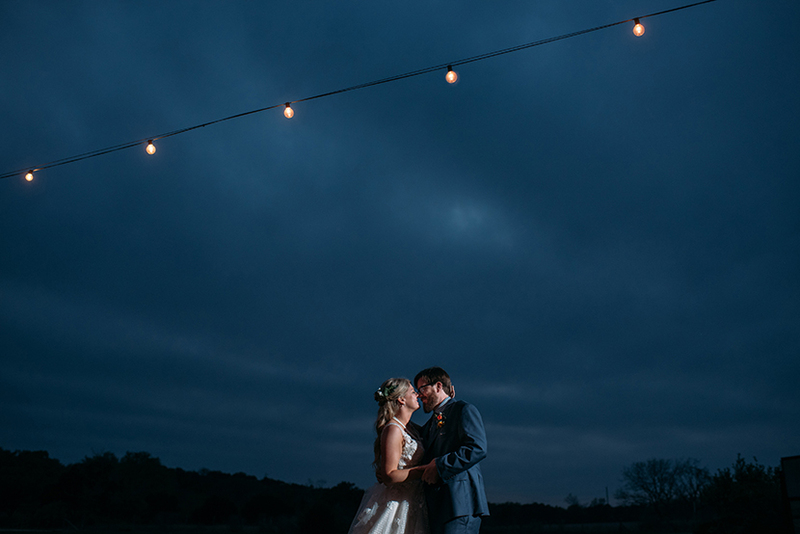 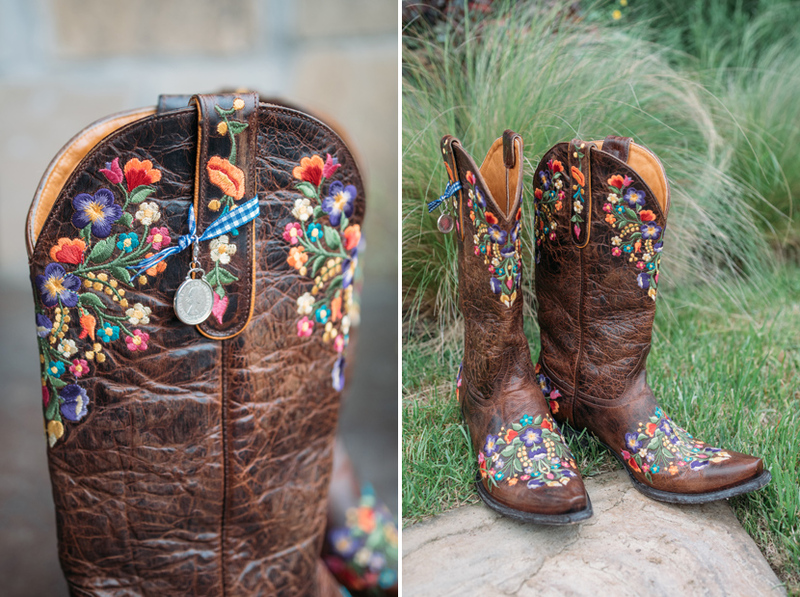 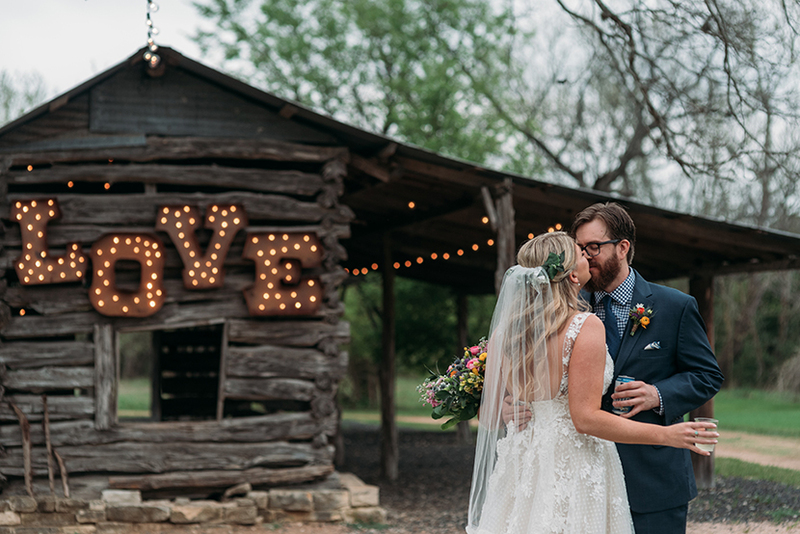 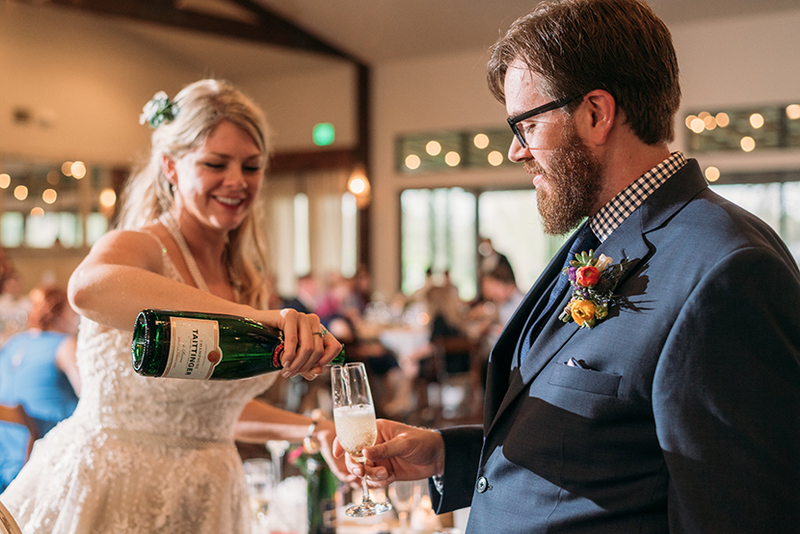 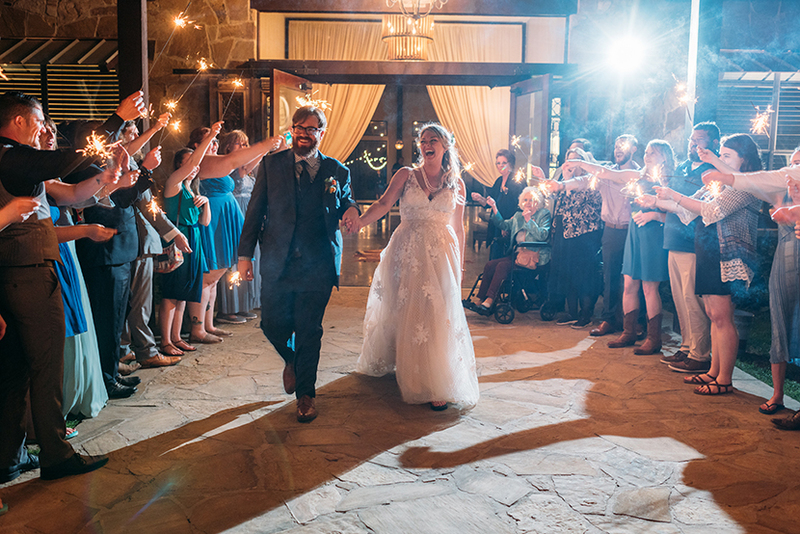 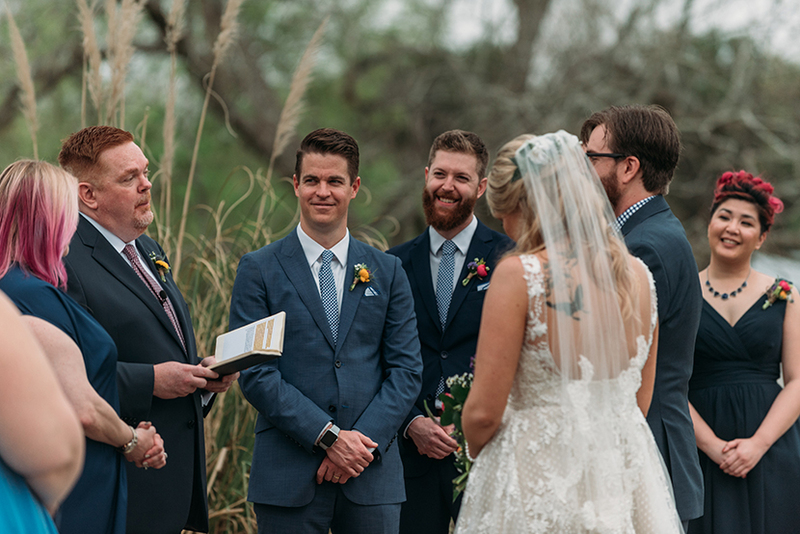 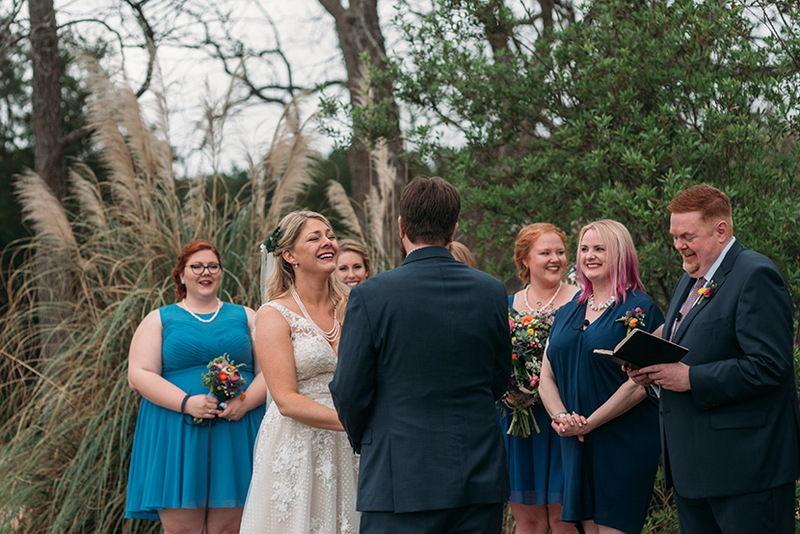 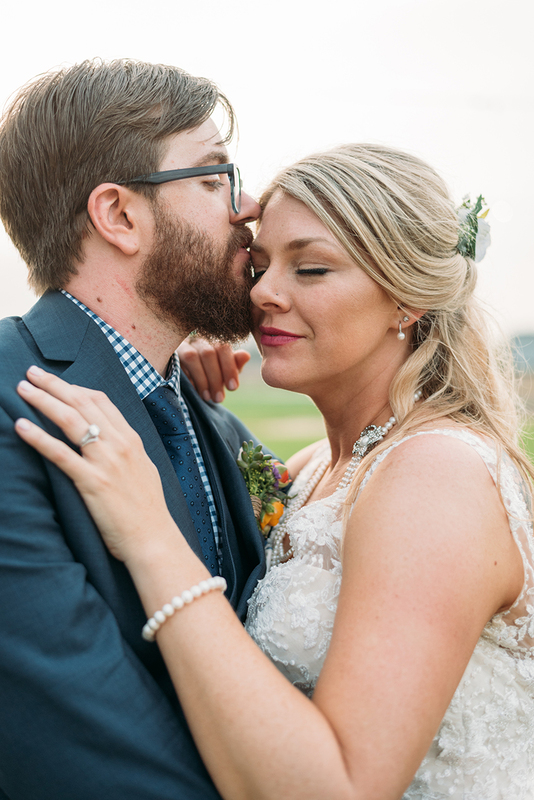 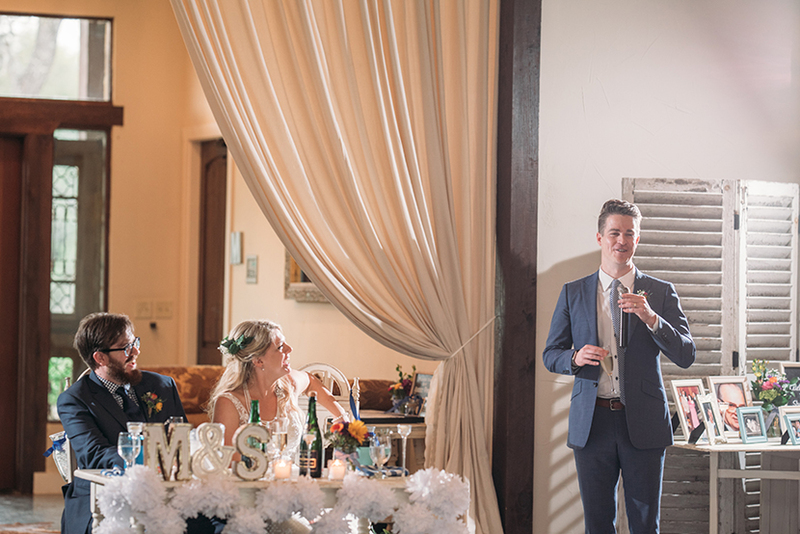 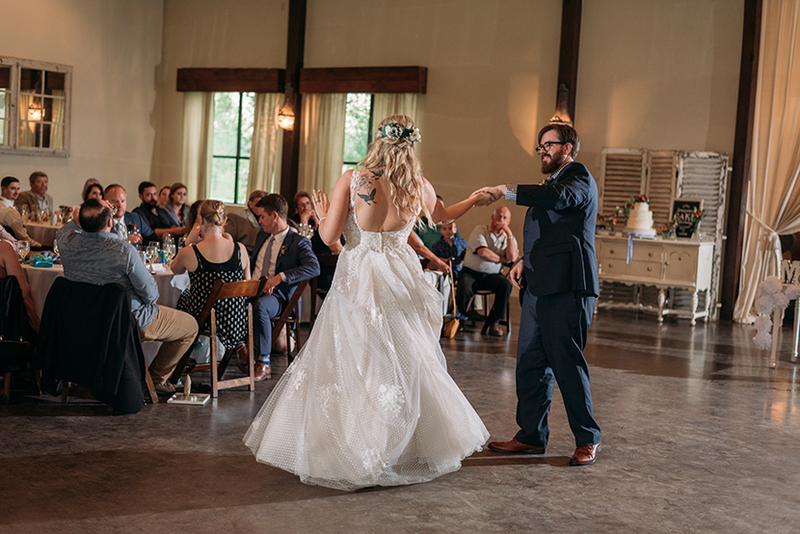 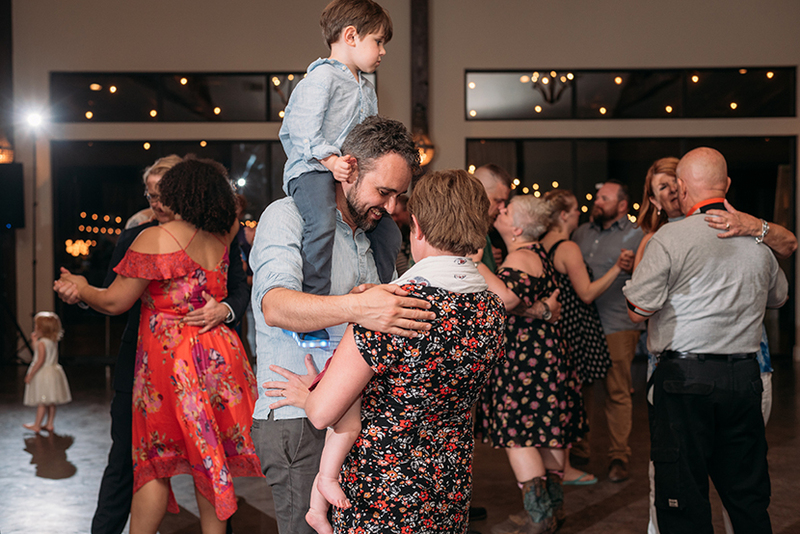 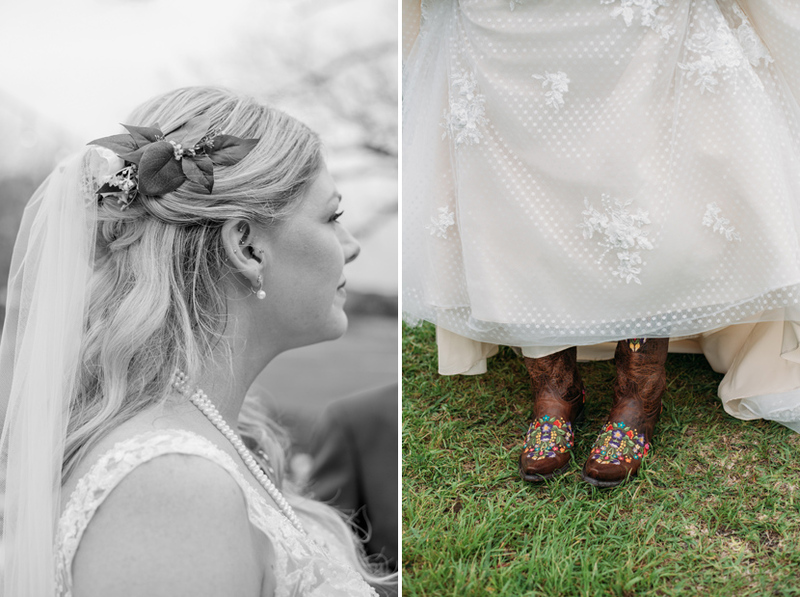 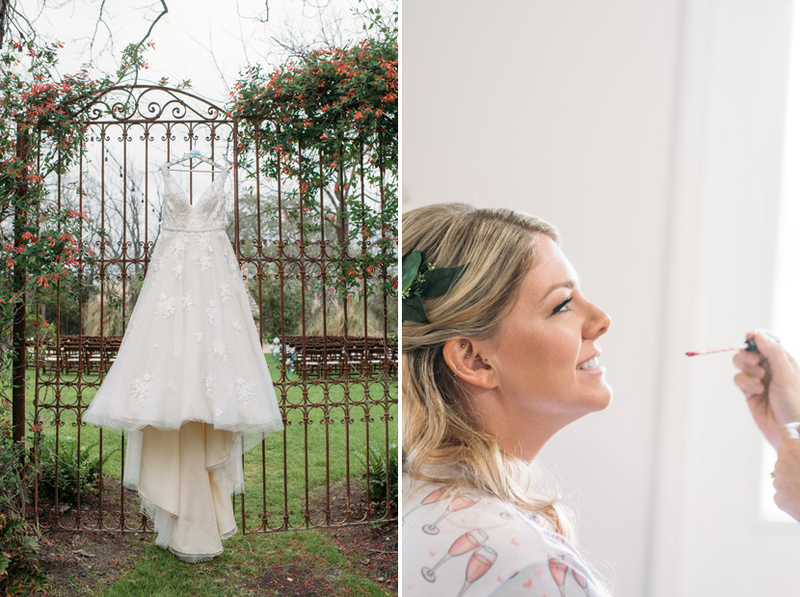 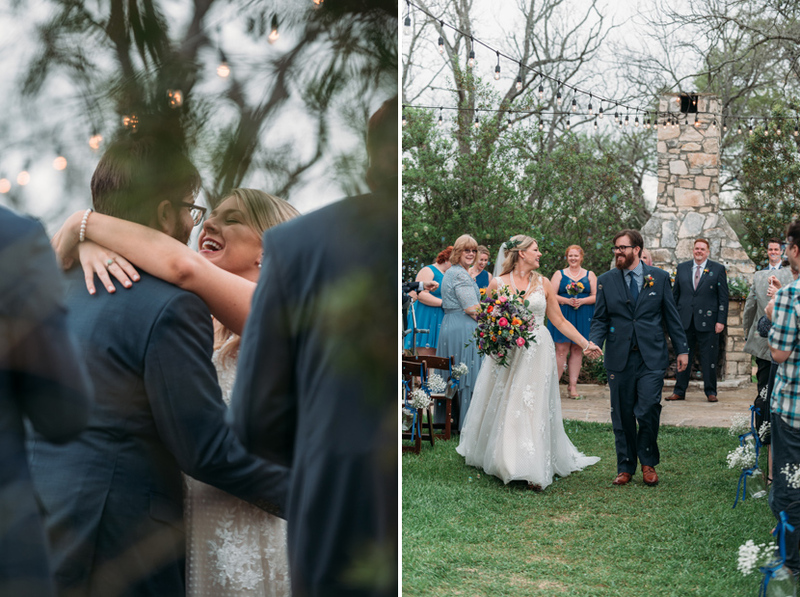 Pecan Springs Ranch Wedding | Dripping Springs Wedding Photographer Elissa R.
Let’s roll back to March, when the lawns were still green and there was still a slight nip in the air at night. 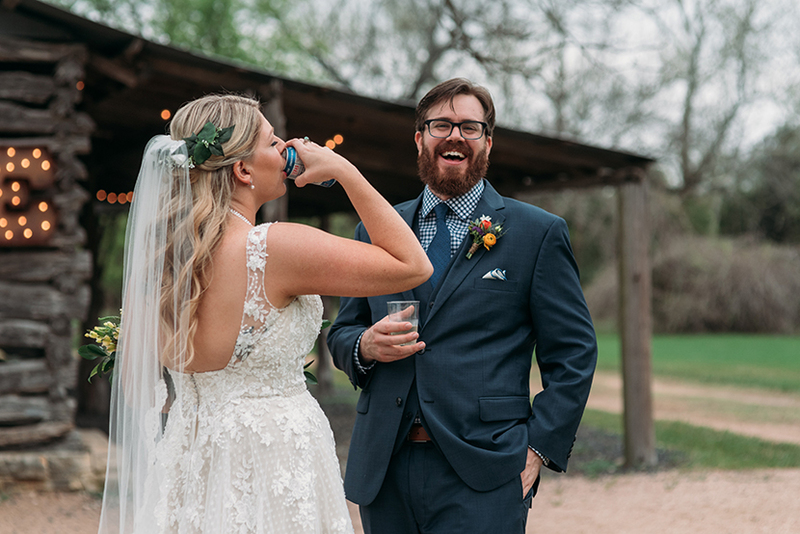 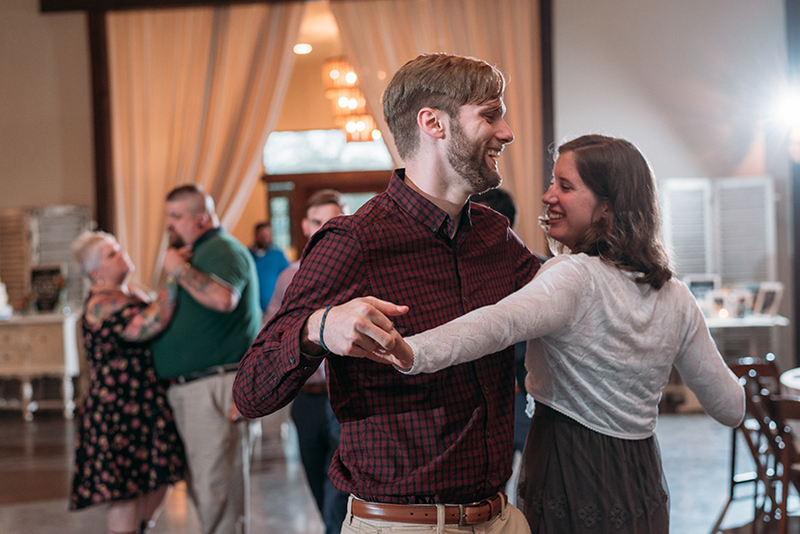 Michelle and Stephen, two Californians who grew up within 100 miles of one another but didn’t really know each other until they both lived in Austin, went bar-hopping the first time they met. 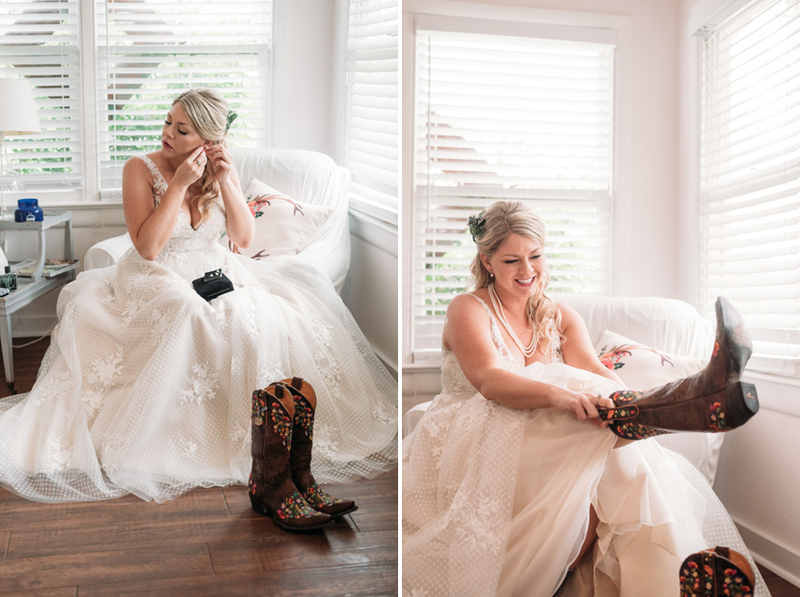 I love how they both embraced their new Texan-ness! 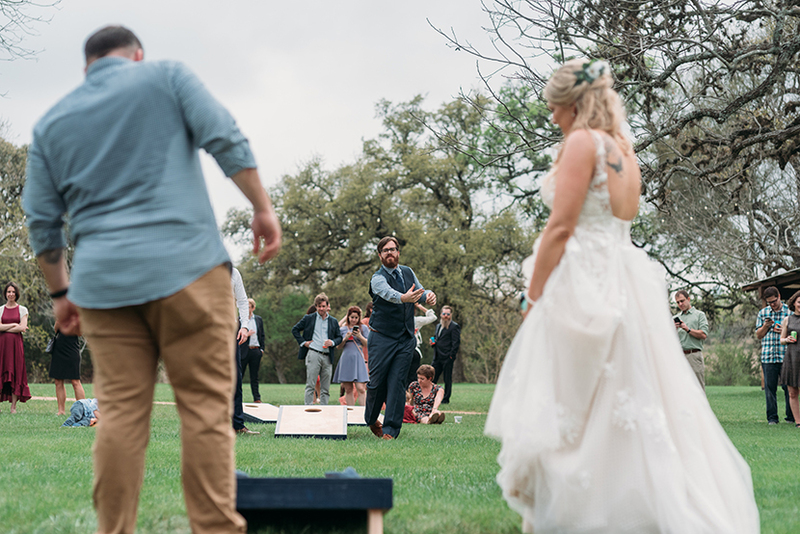 Michelle’s wedding shoes were wedding boots, and in lieu of a traditional cocktail hour they hosted a corn hole tournament on Pecan Springs Ranch’s massive lawn. 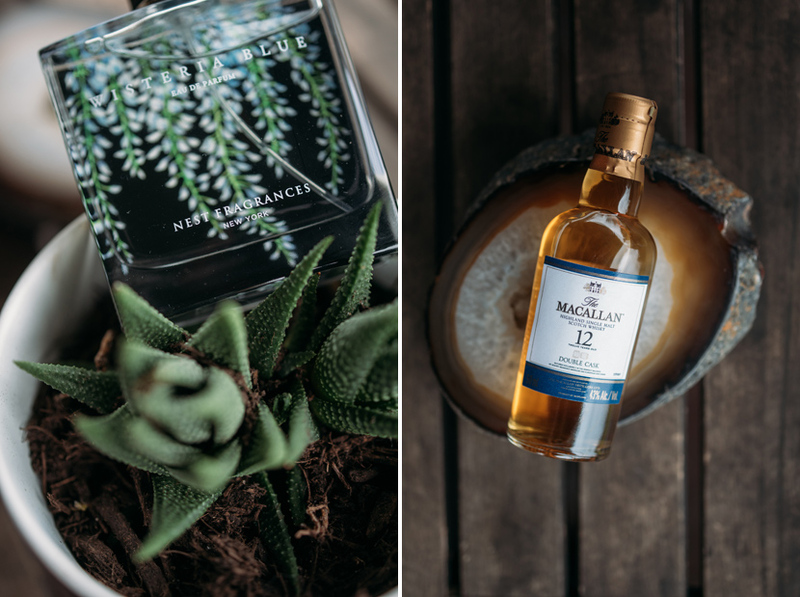 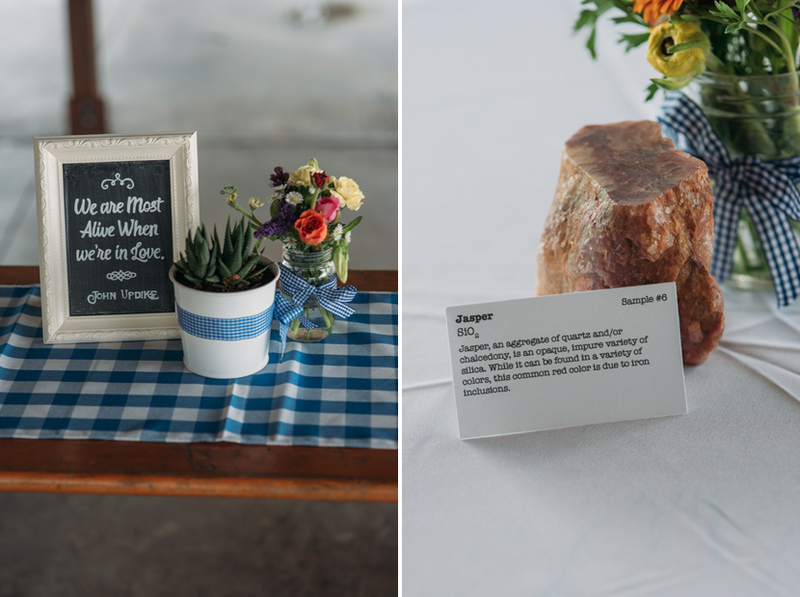 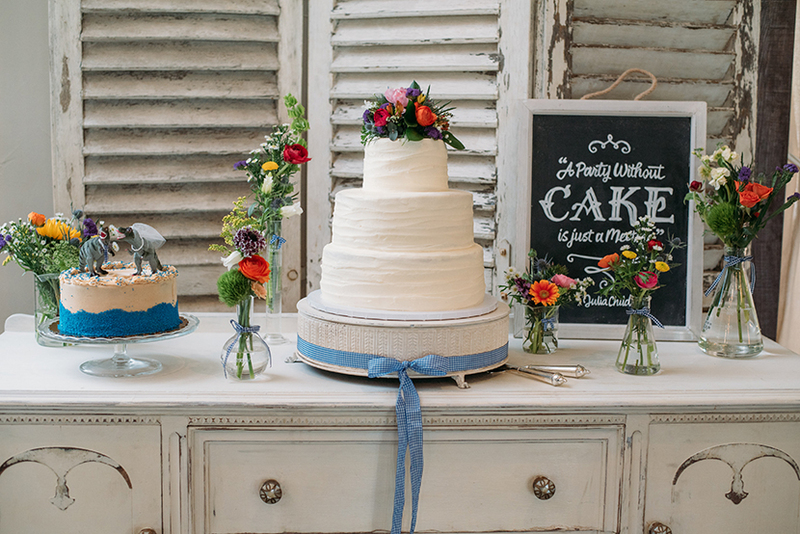 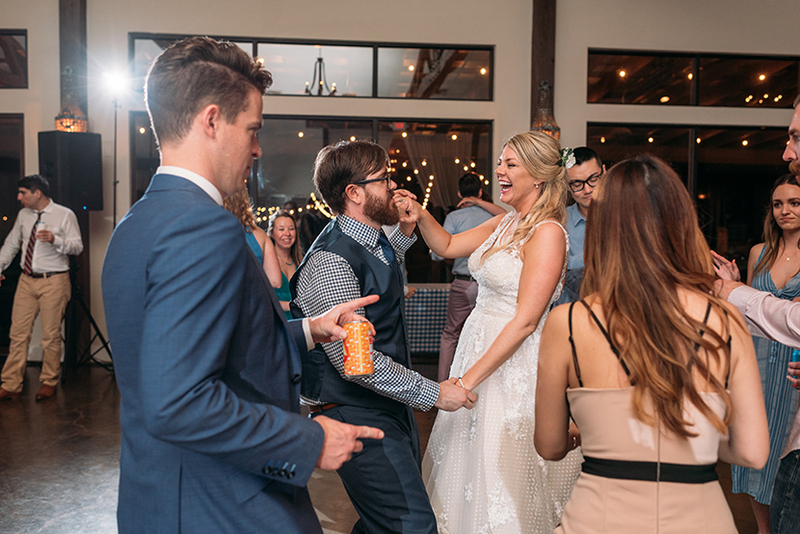 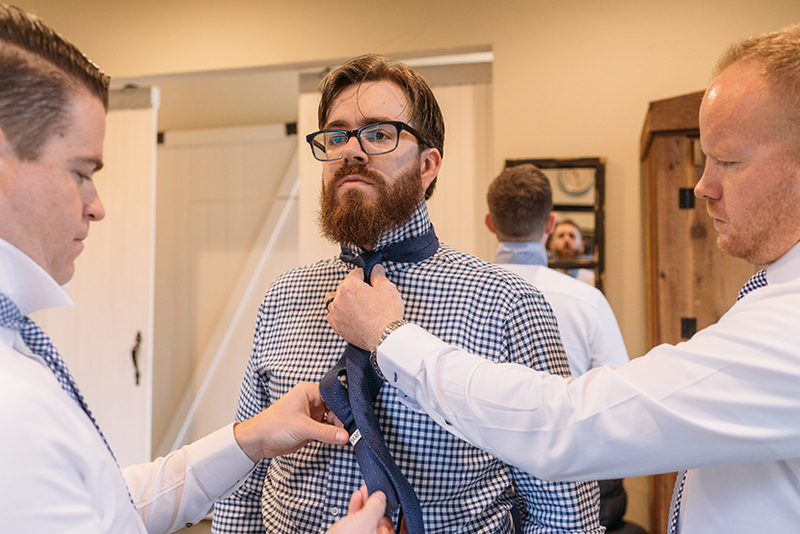 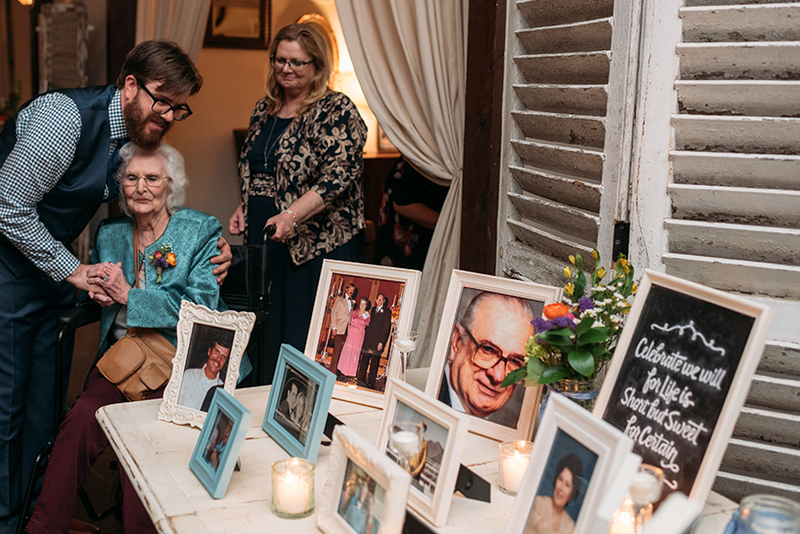 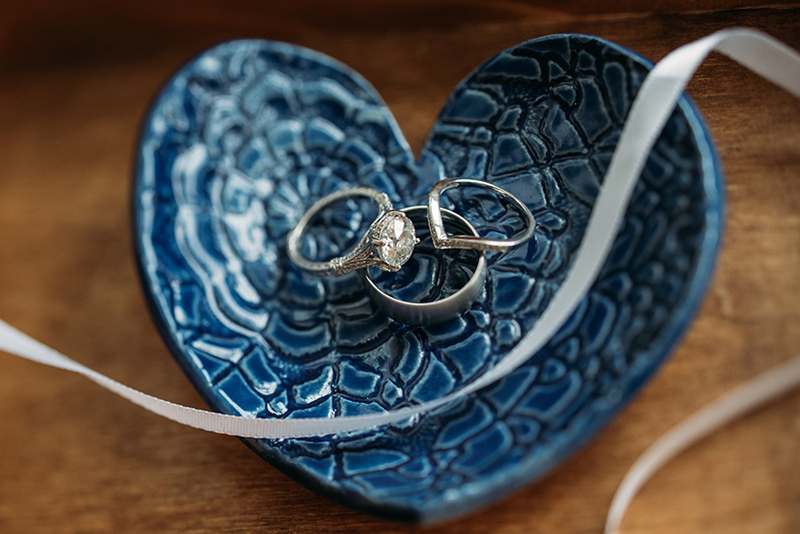 Their wedding was peppered with nods to their passions: Stephen, a graphic designer, picked the perfect cornflower blue for all of their paper goods, and Michelle, a geologist, made centerpieces with different rocks. 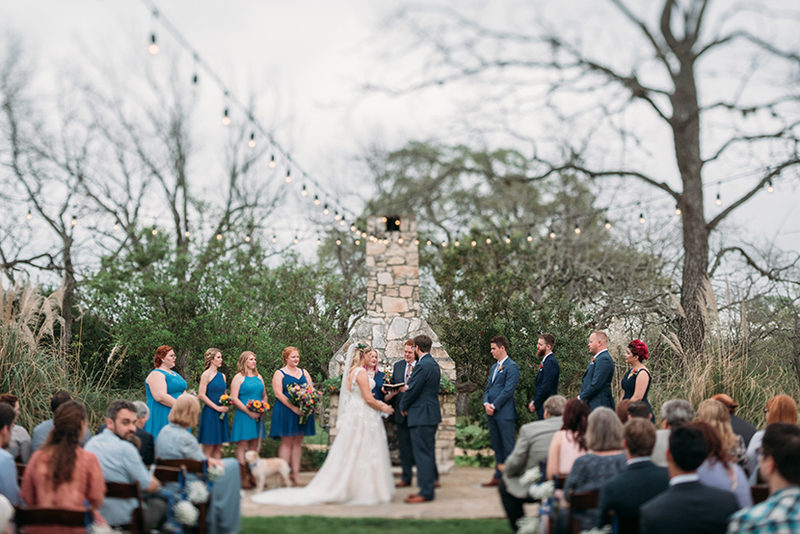 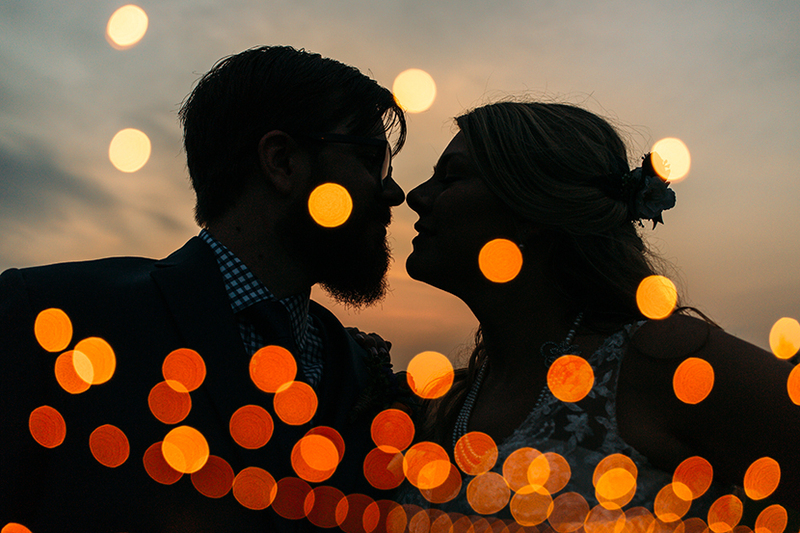 They included their two beautiful dogs in the ceremony (squeeee) and were treated to a perfect Texas sunset. 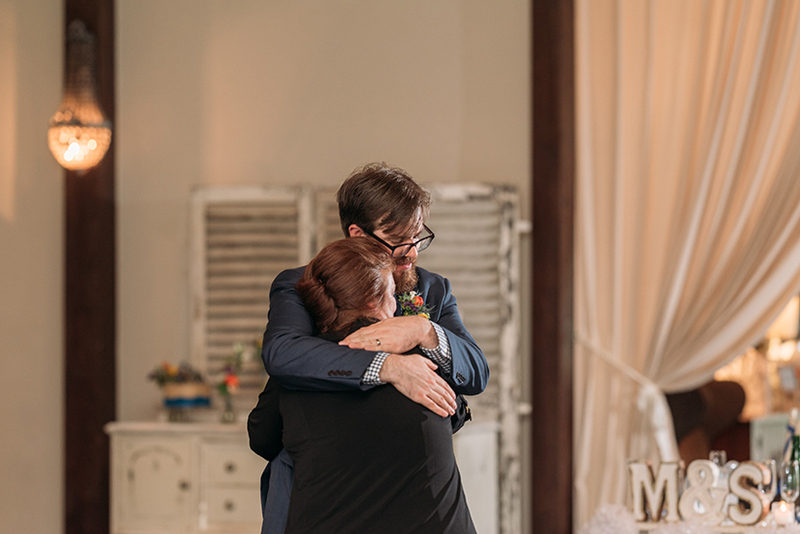 Be sure to scroll down to view the vendors who helped make this day possible!